as we do more and more green roofs here in denver, we constantly are looking for fresh inspiration and innovative ways to green a traditionally not-green space. this green roof, at the university of melbourne's burnley campus, really shows just how exciting and totally awesome these new spaces can be. 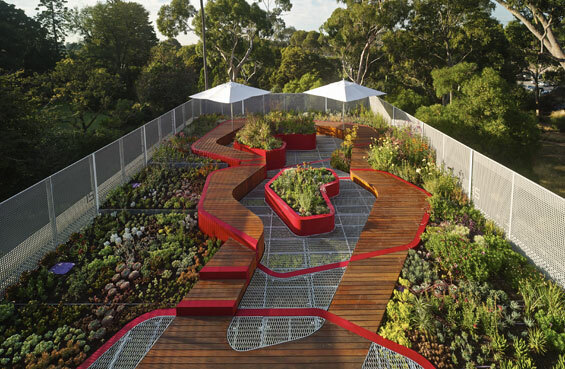 designed by HASSELL in close collaboration with the university, the roof was designed to provide hard data and experimentation on how to implement such roofs on a wider scale within the harsh australian climate. water quality and biodiversity are monitored and measured, and can be adapted and changed as needed. check out the whole story at world landscape architecture.